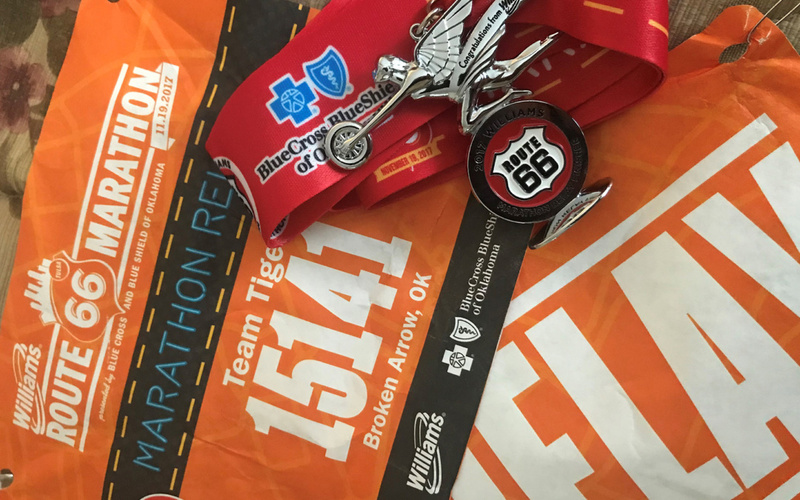 This weekend, employees Ashley Brewer, Brian Brown, and Manuel Rios, along with Vicki Campbell (wife of employee Todd Campbell), competed as Team Tiger in the Route 66 Marathon Relay. Legs ranged in length from 5 miles to 5.6 miles. Brewer completed 2 legs (10 mi) on her own! Way to go Team Tiger!